Welcome to Eau Claire Junk Removal: Your Favorite Junk Pickup Company! Eau Claire Junk Pickup is a junk removal company that also specializes in junk hauling, miscellaneous hauling services, old furniture, junk pickup, trash removal and general junk removal. Our goal is to make your life easier by properly removing and disposing of everything that you no longer need. We base our work on the highest quality customer service standards, abiding by all city ordinances regarding the disposal of unwanted items. Our services keep THE CLIENT in mind. We understand every aspect of the junk removal and disposal process. It is not always “cut and dry.” Getting rid of some items can be sentimental. 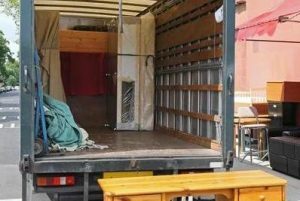 Some removals can be down right tedious. We want to make it easier for you. 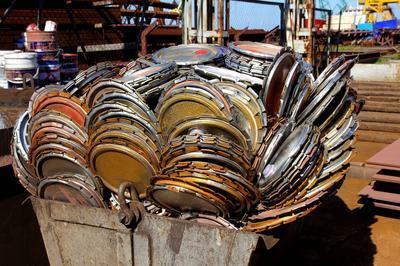 We provide the pickup service as well as the actual disposal of the product. Eau Claire Junk Pickup proudly supports the local community of Eau Claire, Wisconsin and its surrounding areas! We offer full, premier services for junk removal, as well as pick up services of all other unwanted items. While our headquarter is in Eau Claire, our junk removal company serves all nearby areas. Give us a call to determine your location. Whatever size job you have, we can take care of it. Have some old furniture you don't know what to do with? Not a problem, we will pick it up and dispose of it properly, not throw it in your neighbors lawn. Don't want your old mattress? We do, we love them. Actually we don't, we just love getting rid of them for you. Most likely your garbage man doesn't want them. Give us a call. Your garbage man definitely won't take your old appliances. You might be able to sneak a toaster past them, but refrigerators, not so much. We will take them though. You do not need to tell us how much garbage your household generates. However, we suspect it can be a lot. We know this, because we also run households that generate junk, no matter how much is recycled. This includes furniture, old appliances, estate sales, foreclosures, and much more. And, by the way, we recycle, too! We save everything that can be re-used and send it to the right source. Every business, whether big or small, generates great amounts of unwanted material that must be removed under specific guidelines. The professionals at EC Junk Pickup will deploy to a variety of locations to dispose of materials. We do this in 100% compliance with Eau Claire's ordinances. Our junk removal company prides itself with extending service to all surrounding areas around the city of Eau Claire. For any questions regarding service areas, or to make a special request for your business, just give us a call and get your free quote right away. Let us be your “go-to” source for all things disposable. Bookmark our page under “Junk Removal Near Me” and put our number on speed dial for all your trash removal needs! We serve any household, organization, group, or business that needs junk removal services. We serve everybody! Household Junk - We will pick up leftover and unwanted items from moving, remodeling, or just recycling furniture. We pick up television sets, refrigerators, old computers, furniture, and anything else you need an ending for. Schools – We offer on-site junk services for the pickup of desks, appliances and junk. We also dispose and shred desks, boards and all other unnecessary items. Churches - Aside from picking up old furnishings, we can be the pick-up service after big events such as weddings, baptisms, Vacation Bible School seasons, and general unwanted material. Restaurants and Fast Food Establishments – We dispose of all trash and junk generated. Office Buildings – Removal of furniture, unwanted appliances, and general junk. Stores- We remove boxes, unwanted articles, and junk. Storage Facilities- Clean-outs of items, debris and junk. 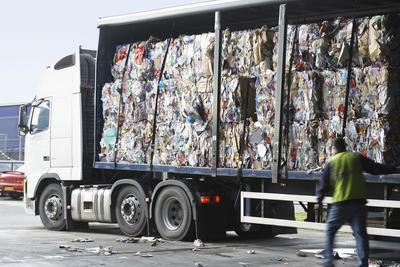 Fire and Police Stations- We remove all generated trash as well as unwanted items. 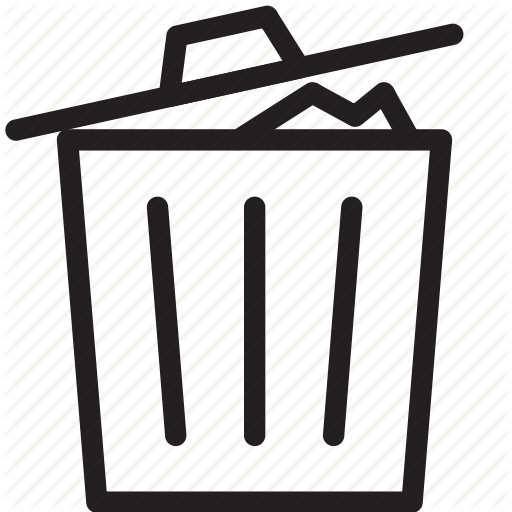 Construction Sites- We will remove all trash and unwanted debris from the area so that your project moves forward smoothly. We aren't the typical scrap metal dude that drives around in a rusty truck full of scrap, but we do like our scrap so give us a call. You rake them, we pick them up. Sorry we are not interested in raking your lawn, but we would love to haul it away for you. This is our bread and butter. It doesn't matter how big or messy the job is, we have you covered. Give a call today! Why Eau Claire Junk Pickup? No matter how much junk you can generate per week, you can count on our professionals for quick, high quality hauling services. We will leave your area looking brand new. Give us a call during your moving day to guarantee the quickest junk pick up possible. Your “junk” may include all unwanted items you wish to dispose of. Running a construction site? Call us to help put with clean up. Clear your area as soon as possible and make your project move forward, faster. Spruce up your home and get rid of the old and useless. The good folks at EC Junk pickup will have your furniture out of your house in no time. Give us a call today for a free quote on Eau Claire furniture removal. Got an old mattress or two that your garbage service doesn't want? We will take them and properly dispose of them for you. And we will haul it right out of your house for you. Call for a mattress removal quote in Eau Claire today. Got rid of satellite? Old computers cluttering your closets? Use us for all your appliance disposal needs. We can dispose and recycle television sets, lamps, old computers, boxes, and things no longer needed in your household. 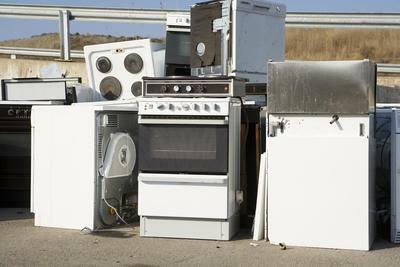 Give us a call today for a free Eau Claire appliance disposal quote. What other things could we pick up? Ready to upgrade your tub? Not every company will trade yours, so give us a call to remove it. Branches, tree trunks, and every messy thing under the sun. It doesn't matter what time of year or how much yard waste you have, we have you covered. Call today for free Eau Claire yard waste removal quote. There are regulations that state how to dispose of items that are in close contact to potential biohazards. 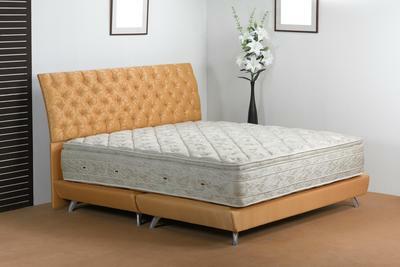 Mattresses are one of these items. Give us a call and we will do the job for you. From small construction jobs to large projects, we have you covered. Depending on the size of project we will travel up to 100 miles from Eau Claire. Give us a call today to get a quote for construction cleanup in Eau Claire. Life happens. Why make it harder when we can help? In the event of needing a complete estate or foreclosure removal, our professionals will be there to make everything easier and quicker for you. Call today for a free quote on Eau Claire property and estate cleanouts. ***Refrigerators: Never leave a refrigerator outside your home up “for grabs.” Nearby children, and even animals, may try to get inside with no chance of being able to open the door from the inside out. Always call a professional removal team to dispose of, and even recycle, your used or unwanted refrigerator. If you have a refrigerator you need to get rid of call us today for a free Eau Claire refrigerator disposal quote. Therefore, no two jobs are the same at all times. All you need to do is give us an approximate of how much needs to be disposed of, and of the type of product that you need removed. During our initial conversation, we will give you a free quote so that you can decide how to proceed. Give us a call today, tell us where your location is, and get a free estimate! 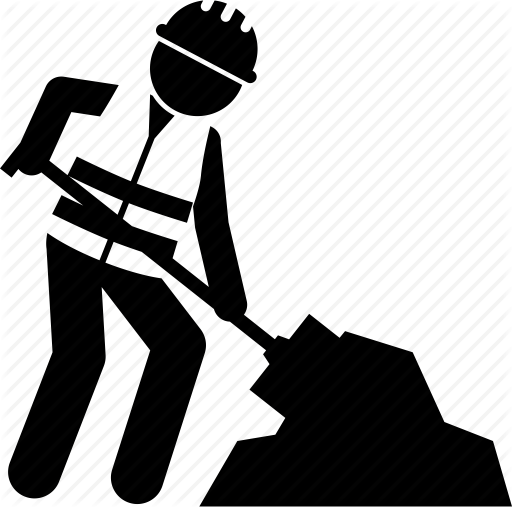 Whenever you ask: “Who does junk removal near me?” Think: EC Junk Pickup! EC Junk Pickup will provide you with the best local junk removal service around. Even better, with the lowest rates in Eau Claire! Get your free estimate by calling us today. Contact Eau Claire Junk Pickup Today! On the off chance that you don't have sufficient energy or the labor to deal with the waste removal, you can simply depend on our junk removers to deal with the activity for you. They have the experience and the labor to successfully deal with the activity that you are not ready to. Consider reaching Eau Claire Junk Pickup and you'll never need to stress over it again. We'll rapidly act the hero to furnish you with the assistance that you require. "WE GOT THE MOST AFFORDABLE PRICES FOR THE JOB THAT NEEDED TO BE COMPLETED. EC JUNK PICKUP WAS ABLE TO GET HERE THE SAME DAY AND WAS ABLE TO COMPLETE THE WORK PRETTY QUICKLY. WE WILL DEFINITELY USE THIS COMPANY AGAIN." "WE REALLY COULDN'T RISK FOR OUR TEAM TO GET HURT SO WE DECIDED WE CAN GET SOMEONE TO REMOVE THE REST OF THE FURNITURE. EC JUNK PICKUP SENT SOME PROFESSIONAL REMOVERS WHO WERE SO FAST, AND WE DIDN'T EVEN NOTICE THEY WERE HERE." "WE DEFINITELY NEEDED HELP FROM SOME PROFESSIONALS, WITH A BIG CLEANUP TASK. WE CALLED EC JUNK PICKUP AND WE'RE SO HAPPY WE DID BECAUSE THEY TOOK CARE OF THE JOB QUICKLY."